Read about our accreditations, experience and more! Chris is a registered Occupational Safety and Health Consultant. OSHCR was established in response to the Government’s Common Sense, Common Safety report, which recommended that all Health and Safety consultants should be accredited to a professional body and a web-based directory be established. The register aims to assist businesses to find advice on general health and safety management. A network of professional bodies and stakeholders have worked together in partnership to develop this register, which has established a benchmark standard for safety consultants and help to raise the quality of advice being given to businesses. GBS Health and Safety Services are fully accredited by Safety Management Advisory Services (SMAS) and have a Worksafe Consultant Membership Certificate. 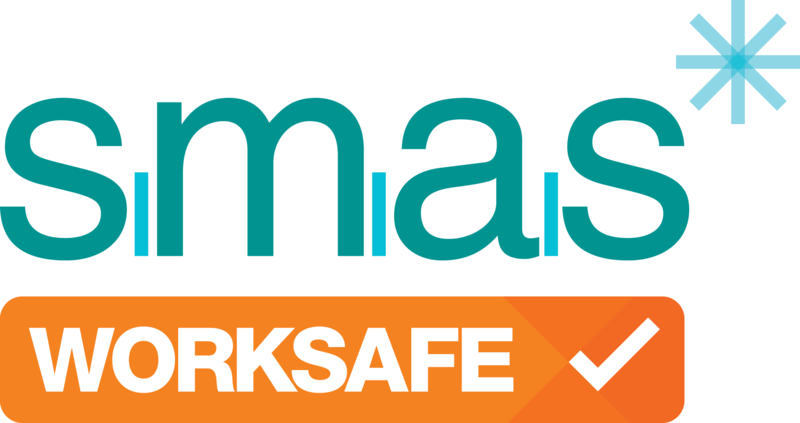 SMAS are part of the Safety Schemes In Procurement Forum (SSiP) which is an umbrella organisation to facilitate the mutual recognition between health and safety pre-qualification schemes. The accreditation process involved a formal review of the company health and safety arrangements by an independent auditor. Chris is a Chartered Health and Safety Practitioner. Raeanne is an Associate Member and currently working towards her Graduate Membership. Founded in 1945, IOSH are the only Chartered body for health and safety practitioners and the world’s largest health and safety professional membership organisation. IOSH members are the most trusted and sought after people in the health and safety profession. Chris is a Member of the Institute of Fire Safety Managers. The Institute of Fire Safety Managers is a professional body of highly respected individuals and companies who all share the same objective. “To raise the awareness of fire safety at a local, national and international level, promoting fire prevention, fire protection and reducing the risk from fire as far as reasonable practicable”. Chris is a Member of The International Institute of Risk and Safety Managers.